P1 Security Computer Emergency Response Team – P1 CERT – is officially open! P1 CERT role is to guarantee a professional incident and vulnerability management by direct cooperation with Customers, VKB Subscribers, Telecom Vendors, Operators, Governments and other CERTs. P1 CERT is also collaborating with TCERT for Telecom-related coordination activities. Also you may wish to know more about our work on Mobile and Telecom vulnerabilities releases by checking our Vulnerability Knowledge Base. 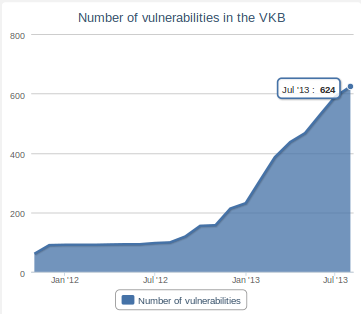 This a visualization of P1 Security VKB vulnerability evolution over time. 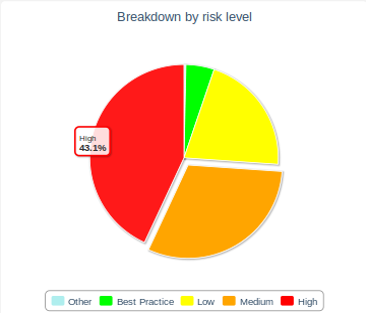 You can see that P1 CERT has done intense amount of reverse engineering and vulnerability research in order to qualify vulnerabilities and develop knowledge. VKB vulnerabilities, sorted by risk, and including Best Practices. You can see here that P1 CERT focuses on high-impact vulnerabilities but at the same time provides Best Practices to help securing networks. VKB vulnerabilities by Network Element type. 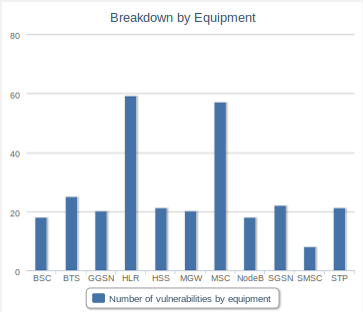 HLR & MSC are currently the most impacted equipment, according to P1 VKB. 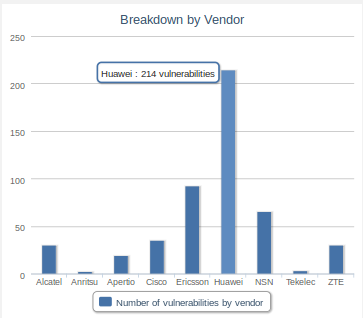 VKB vulnerabilities per Vendor indicate that Huawei is the most concerned vendor in term of vulnerabilities entries. This can be a bias of analysis as Huawei is present in nearly 90% of the operators we do work with, so its representation in number of vulnerability is not only due to the intrinsic vulnerability of their equipment, but also to their ubiquitousness. For more demonstration, you may visit P1 Security VKB tour.